A great article I read recently explained that the first three hours of your day will make or break the rest of your day. This makes sense since our brain and energy levels are most vulnerable in the morning after being well rested. When I was in college, I would use this time to do most of my studying since I was more awake and susceptible. Now that I am working and taking classes again, I take about an hour and a half getting ready/commuting to work. As soon as I get to work at 8AM, I tackle the most important tasks. By 11AM, my mind is ready for a break. From the time I am awake until 11 AM, I completely unplug from social media. This has become a vital non-negotiable since I can get VERY easily distracted. Everyone has their unique constraints so I would encourage you to find a way to apply this in your life. Dedicating the first 90 minutes of your work day completing tasks at the top of your list will make the rest of your day easier. I like to think of the analogy “eat the frogs first”. “Frogs” are basically the things you don’t want to do, but actually need to do. This analogy along with the first three hours of your day not only improves your efficiency and time management skills but also leaves you free to do the things that you enjoy doing for the rest of your day. One thing I know for sure is if my morning routine before going to work is not smooth, then the tone for the rest of my day is off. 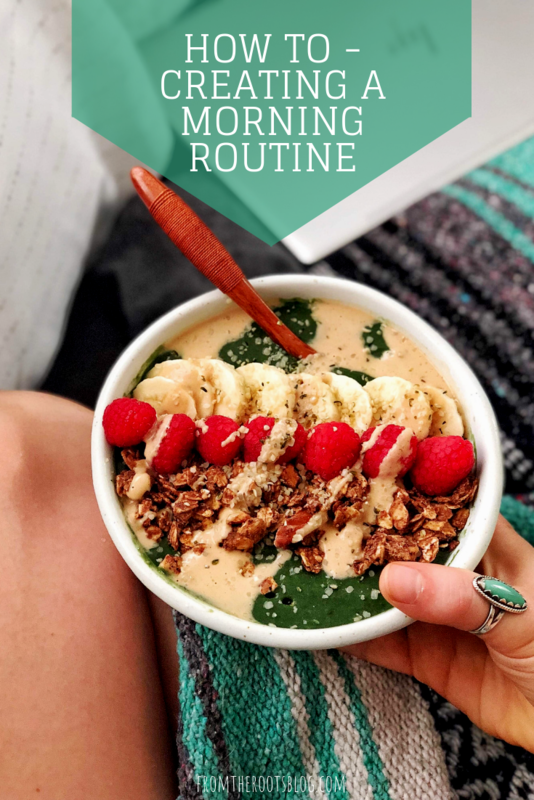 To help create a morning routine for you I have laid out what my morning routine looks like plus things that I have done/have seen work for others. TBH, my morning routine isn’t exactly Instagram worthy with drawn-out yoga sessions and meditation breathing exercises. I do not work from home and have a long commute to work so this routine is very cut and dry. But I am showing this because most people out there follow a limited morning routine before work. 6:15AM - “Rise and shine, give God the glory, glory children of the Lord!” My mother used to sing this every morning so it just sticks. This is the time where I only go on my phone to turn the alarm off (no morning technology), snuggle with Rory and Emmy and do morning stretches. 6:20AM - Take the dogs out to go to the bathroom. I use this time to start drinking my liter of water (recommend getting a hydro flask so that you wake up with fresh cold water) and get my legs moving while soaking up the morning air. 6:45AM - Getting ready. I am a morning shower girl so I will shower, start my skincare routine, apply makeup, fix hair and put on clothes related to that day. 7:15AM - Smoothie time! I usually whip up my morning green smoothie or PB&J protein smoothie bowl and put it in a glass mason jar to bring to work. While that is blending, I start my cup of coffee and put it in my Yeti cup so that it is still hot by the time I get to the office. Lately, I have been adding almond milk creamer, MCT oil, and collagen peptides in my coffee. I get my lunch box packed which consists of a meal prepped lunch, smoothie jar, snacks like an apple and almonds, homemade kombucha, and water. * Elevated coffee + morning green smoothie is key in keeping me full and energized for the rest of the day! +7:30AM - Give Rory and Emmy a little treat, xoxo’s, and head out of the door! You might look at this morning routine and think, “this seems pretty standard”. Well, not only is this routine standard but there is a lot involved that takes place before the morning starts. Dedicated planning takes place beforehand so that I don’t feel rushed in such a short amount of time. Things like having my water bottle ready, lunch meal preps, and setting the coffee timer to maximize my time getting ready. If I neglect any of these things then I will feel rushed leaving the door and I’ll go in to work frazzled and anxious. Starting your day off on a healthy start also plays a key role in optimizing your morning! Drinking water and getting your greens in first thing in the morning sets you up for success. There are other things that are healthy/stress-free that can inspire your morning routines. Let’s talk about things that you could look into more. Set your alarm 15 minutes earlier than usual so that you have more time to practice your morning routine without rushing or use this time to pray, stretch, journal, meditate, etc. Drink water! My teeth are super sensitive so I do this every other morning but lemon water is great first thing in the morning. Set your intention for the day. This practice is used in meditation but if that seems overwhelming, just simply give yourself a few minutes to tune into yourself and to set an intention. Schedule your morning routine the night before. This is a great practice if you are new to setting a morning routine or if you have a week or day that you know will be busy. Meal prep! If you haven’t noticed from my blog, I am a huge meal-prep advocate. This helps so much in cutting time out of your morning to prepare breakfast, lunches, and snacks. Stretch! It’s a great way to increase flexibility, increase blood flow to your muscles, and reduce stress and body ache. Here is a link for simple stretching movements and ROMWOD which is a great mobility program. Sweat it out! If you are a morning person or who has more time in the morning then workout! Working out first thing in the morning is great to release those endorphins, boost your metabolism, and you will most likely be more focused and alert the rest of the day! Due to my schedule, I work out at night but my Saturday morning workouts are my most favorite because of these reasons! Eat breakfast! When we are sleeping, our metabolic rate runs slowly and at a conservative rate, but once we are awake, our bodies need to break out of a fasting metabolic state. Eating a healthy breakfast that’s nutrient dense like whole grains, vegetables, and lean proteins will keep our metabolism healthy! Take it one item at a time. As you are creating a morning routine, take things 1 at a time so that you don’t feel overwhelmed. Drinking a liter of water, dedicating 5 minutes to stretching, and meal prepping was not an overnight success for me. You have to be consistent, intentional, and forgiving but you will get it! I hope that sharing my personal routine and providing informative research about the a.m. will help and encourage you to cultivate your own morning routine. I would love to hear about your morning routines and what you have found really helped you!